It was all joy when members of Twifo Anogyan District in the Assin Foso Area of The Church of Pentecost, dedicated the Ekurakese Assembly church building. The building, which is valued at GHC46,743.00 , was largely funded through the Community Based Church Building (CBCB) initiative of the COP Headquarters, as well as contributions from the District, Local Assembly and some benevolent individuals such as Mr. Prince Kwaku, who made full payment of the plot of land on which the building is situated. 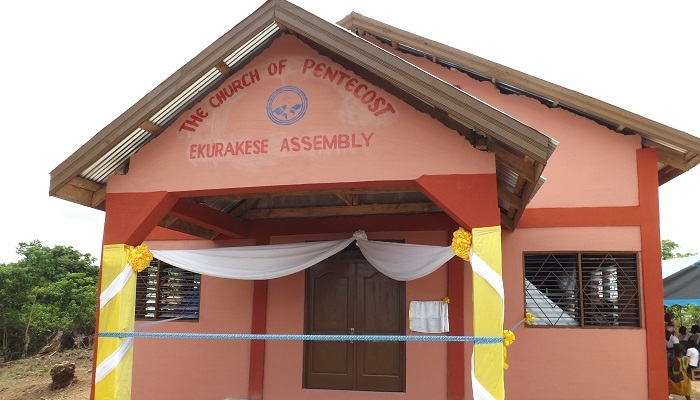 The Ekurakese church building was dedicated by the Area Head, Apostle Sylvester Arhin on Wednesday, May 16, 2018. Also on the same day, the Area Head performed the foundation stone-laying ceremonies for the on-going church building projects of the Bethel and Twifo Anogyan assemblies. Apostle Arhin was assisted by Pastor Dennis James Osei-Asibey as well as the pastorate and wives of the Area. 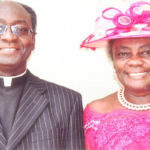 The Ekurakese Assembly began as a prayer group with a membership of eight people with Elder Isaac Kwasi Larbi (of blessed memory) as the Leader. However, the assembly was officially opened on April 7, 2007 during the tenure of Pastor Benjamin Sarpong Mensah as the Twifo Praso District Minister and Deacon Joshua Azumah as the Presiding Officer. Delivering a sermon based on Acts 12:1-17 at the event, Apostle Sylvester Arhin encouraged Christians to be persistent in prayer and also expect God to answer their prayers. He also cautioned Christians to be careful not to allow sin to lead them into captivity which would result in total disgrace and destruction. The Assin Foso Area Head entreated Christians to endeavour to intercede for others in prayer just as the disciples did for Apostle Peter after he had been thrown into prison. “Peter was put into prison but the saints continued to pray for him. Do not be selfish in your prayers. Pray for others as well, and as you do so, God will also answer yours,” he asserted.